The Carrico girls reunited with their family. 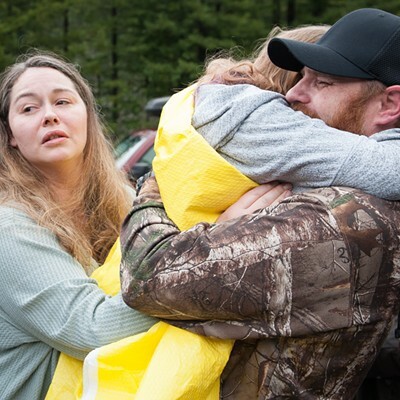 Leia and Caroline Carrico have been reunited with their mother after spending 44 hours lost in the woods until they were ultimately found this morning. 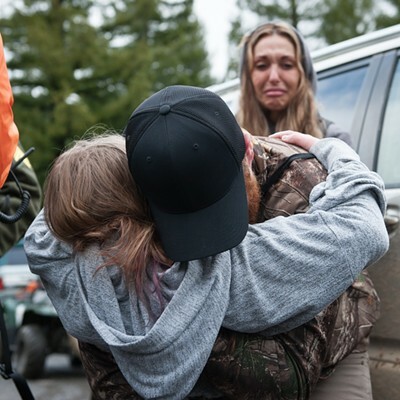 “You are in so much trouble,” Misty Carrico told the first girl as she pulled her into her arms shortly before noon today. A video of the reunion shows both parents sobbing tears of joy at the sight of their daughters. (Left to right): Humboldt County Sheriff's Sgt. Kerry Ireland, Abraham Hill, Delbert Chumley and Sheriff William Honsal pose after Chumley and Hill found the girls. 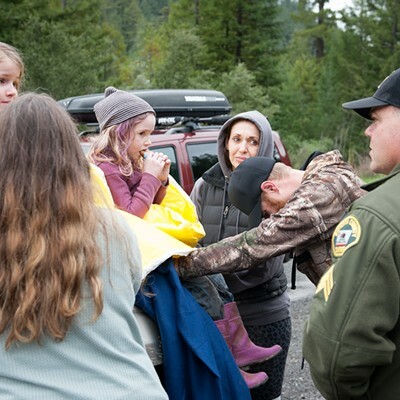 The girls, who apparently wandered into the woods around 2:30 p.m. March 1, after their mother told them she wasn’t ready to go for a walk, were found near Richardson Grove State Park, about 1.5 miles south of their home. 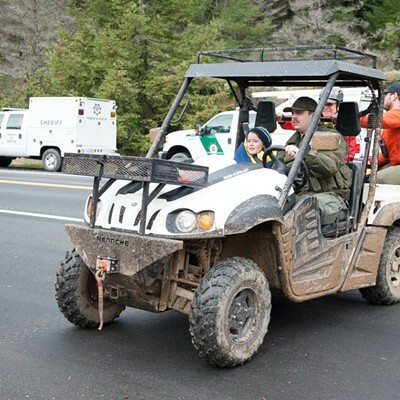 According to the Humboldt County Sheriff’s Office, the girls were located by Piercy Volunteer Fire Department volunteers Delbert Chumley and Abraham Hill, who had found some boot prints around 8:30 a.m. and followed them to the girls, who responded when members of the search team called out shortly before 10:30 a.m. The sisters were evaluated by medical personnel for dehydration and we’re given water and warm, dry clothing. 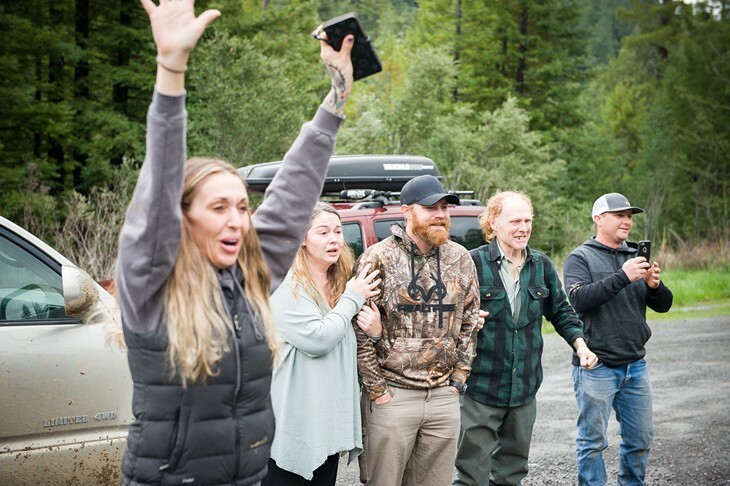 The girls told their rescuers that they had been following a deer trail when they became lost on March 1, at which point they decided to stay where they were and drank water from huckleberry leaves. 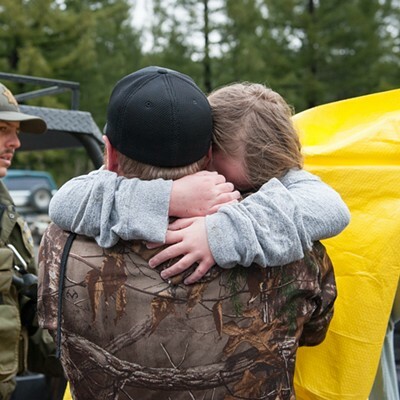 More than 250 people from across the state responded to assist with the rescue effort, with more than 20 agencies participating. We’ll update with more information as we get it. 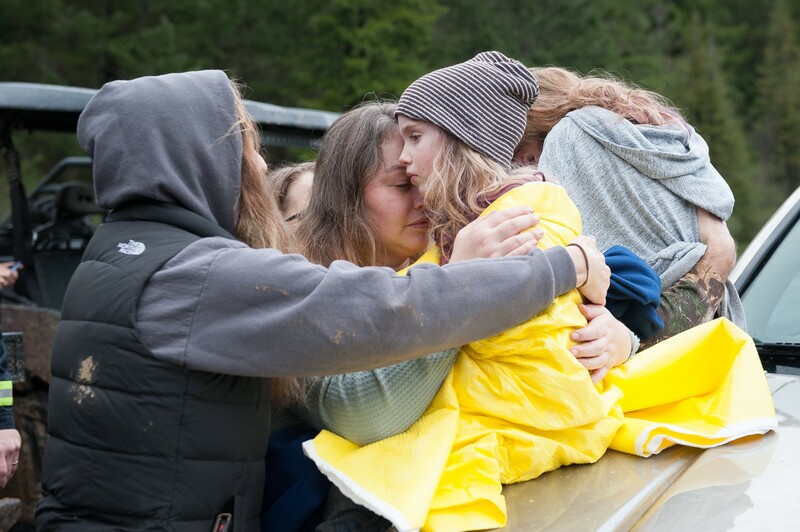 McKenna provided the following slideshow of the girls' being reunited with their family. 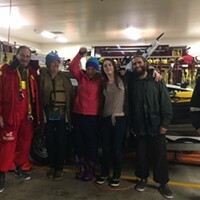 Find the full press release from the Sheriff’s Office copied below and check back for more photos and information from the day, which Sheriff William Honsal described as nothing short of a miracle. 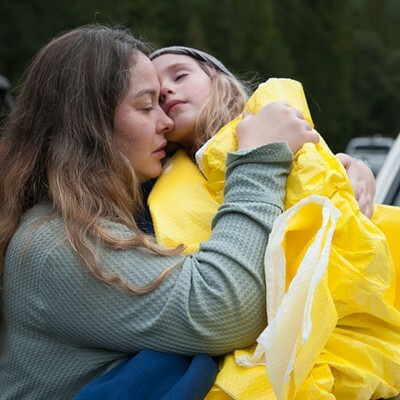 Search and rescue teams have located Caroline and Leia Carricoalive and well, more than 44 hours after they were last seen in Southern Humboldt County. 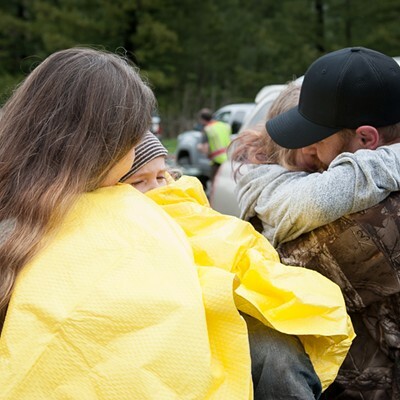 On March 3, 2019, around 10:30 a.m., searchers Delbert Chumley and Abram Hill from the Piercy Volunteer Fire Department located the two girls approximately 1.4 miles away from their home in Benbow. Chumley and Hill located boot prints believed to belong to the girls around 8:30 a.m. today, March 3. Those tracks led the team southeast to an area near Richardson Grove State Park. Caroline and Leia responded when crew members called out to them. 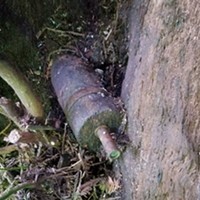 The girls were located huddled together under a bush. The sisters were evaluated by medical personnel for dehydration and given water and warm, dry clothing. 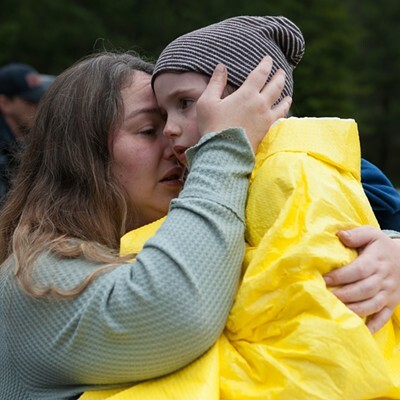 They were reunited with family shortly after being located. The girls told first responders that they were following a deer trail when they had become lost. The two decided to stay put, drinking fresh water from Huckleberry leaves. More than 250 personnel from across the state responded to assist in this operation. 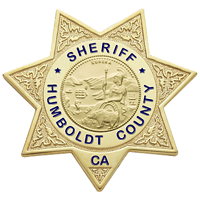 The Humboldt County Sheriff’s Office would like to thank all of the agencies and jurisdictions involved in bringing Caroline and Leia home safe. 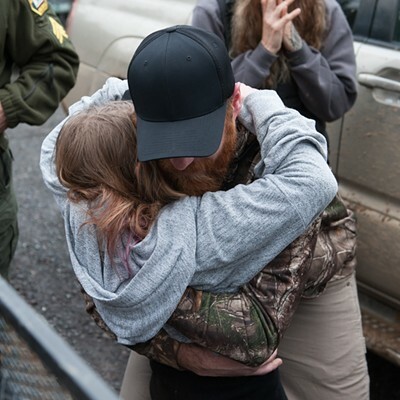 We would like to especially thank the Governor’s Office of Emergency Services (Cal OES) for their assistance in coordinating agency response from across the state, the California National Guard for their ground and air support provided, and Mendocino, Napa and Marin counties for helping organize the search and rescue operation. The public tip line established by the Sheriff’s Office has now been deactivated. The Sheriff’s Office would also like to thank the public for their overwhelming support during this entire effort. Throughout this process we have received several inquiries from those who wanted to help in the ground search effort. 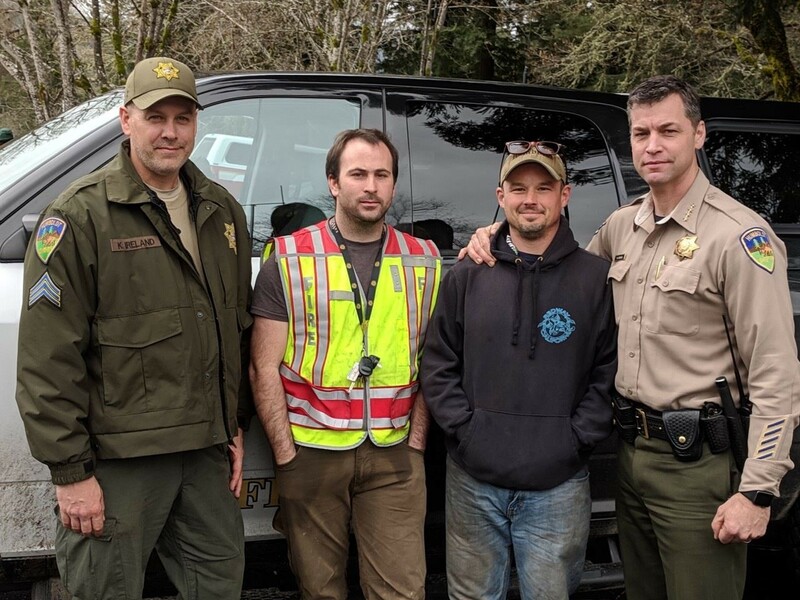 We encourage all who would like to get involved in future searches to consider applying for our Sheriff’s Search and Rescue Posse This is a volunteer posse that is deployed to all of our local (and many out of the area) search and rescue operations. Find out how to join here: http://www.humboldtsar.com.